Everyone at The House wishes you a Merry Christmas. 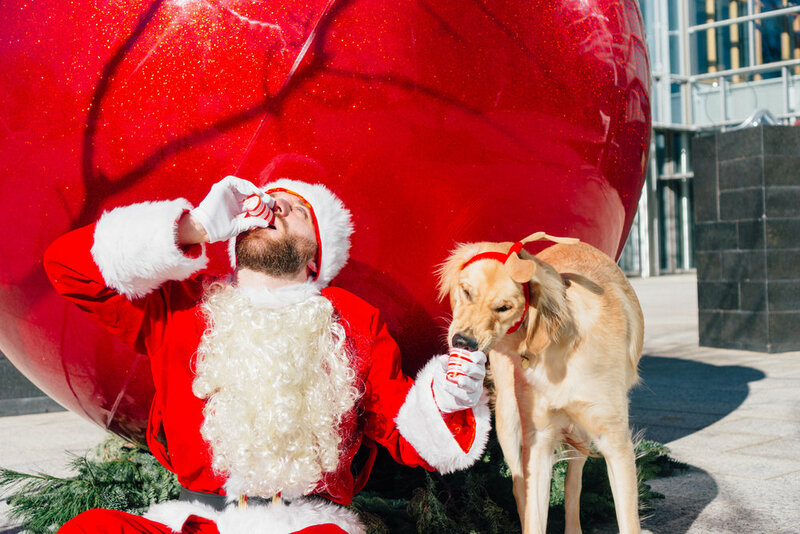 We decided to have a little fun this year and snag a dog model, a Santa costume, and some goodies. We made are way through Oklahoma City making an epic Santa adventure. Things started out jolly, then Santa realized slowly that Amazon might be taking over his career and kids are too demanding and expensive these days. 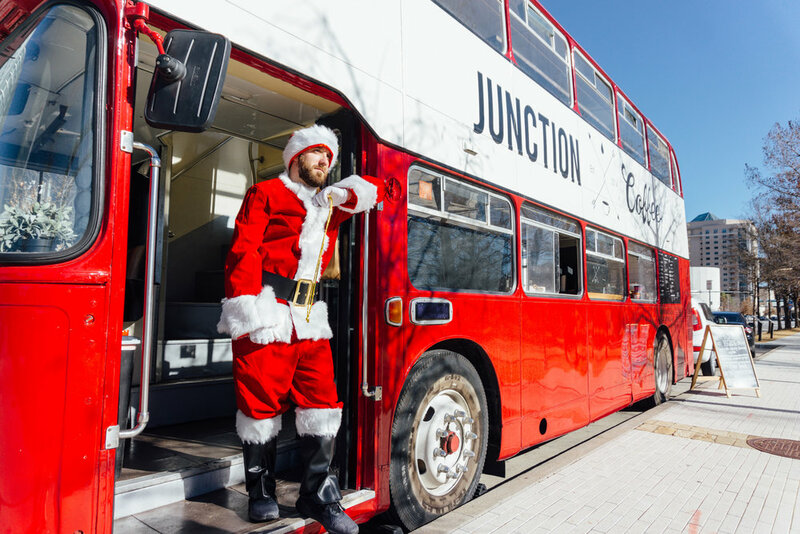 How would Santa get all his work done without a trusty party-stead? Macaroni made the perfect dog companion — er, um, reindeer companion! Santa made his way through Oklahoma City to deliver all the nice boys and girls their treats, all while maybe being a little naughty himself. Just because Santa gives gifts to the nice, doesn’t mean he can’t get a little naughty. Santa Got Some Wide Shots Too, Don’t Worry! What’s Christmas Without Some Bloopers?